Craig Davis is a speaker and coach on Creativity, Innovation, Design Thinking and Conscious Capitalism. He started his own advertising agency after graduating from the AWARD School, moved to Asia a few years later and went on to make Saatchi & Saatchi, the most creative network in the region. Next stop London, where he supercharged J Walter Thompson’s 10,000 strong network as Chief Creative Officer, Worldwide. In a truly international career Craig has helped clients develop and launch broadband services, software and soft drinks, banking and payment services, beer, cosmetics, foods, cars, devices and not-for-profit organisations. He has also initiated and led cultural change programmes building engagement and elevating the standard of creative thinking across two separate agency networks. He loves speaking and has given enough keynotes on creativity and innovation to cramp a Macbook Pro, everywhere from the World Export Development Forum in Geneva to the Club de Creacion in Sao Paulo. 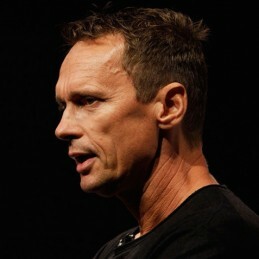 He has also been invited to speak at Cannes four times, AdTech, UTS, QUT and his wife’s 40th. Craig is Adjunct Professor at UTS and sits on the Boards of Advance, the Creative Industries Taskforce and Conscious Capitalism Australia. Craig has also served as Co-Chairman and Chief Creative Officer for Publicis Mojo in Australia, Chairman of the Australasian Writers and Art Directors Club and Deputy Chair of The Communications Council. In his spare time he founded Brandkarma.com, the world’s first brand-centric social media platform. He blogs and tweets, and has written the most popular column for Campaign Asia-Pacific for the past three years. He also happens to be the fastest Australian to run a marathon at the North Pole.